Here you are: my list of the Top Music of 2011…and in no particular order, save for one. You’ll know it when you get there. This album came completely out of left field for me. Someone (somewhere) mentioned it — probably on Facebook — and the “duet” factor sounded interesting. 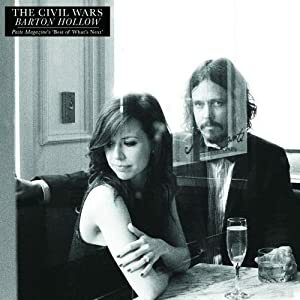 I listened to an early release of the title track, Barton Hollow, and it sounded great to me, so I waited patiently for the full release. Strangely enough, the title track (and first single) is not necessarily representative of the rest of the album, which may put some folks off. In fact, the remainder of the album is considerably more mellow. That said, this is a great album if you’ll give it some time. Would I like to hear more of their upbeat stuff? Sure. Maybe next time. But this is definitely one of the best albums to have been released this year. Let me be clear on this point: I’m not really a fan of Death Cab For Cutie. I have nothing against them, of course, I’m just not part of their fan base. Still, I heard the first single from this album, and I enjoyed it quite a bit. I decided that the rest of the album needed a good listen-thru, and I’m glad I did. It just sounds like typical “Death Cab” stuff, if you ask me, and that’s not necessarily a bad thing at all. Is it ground-breaking? Not really. But it is very good. Funny thing is… I don’t feel like Death Cab ever really writes any choruses into their songs – it’s just one verse after another. Good stuff, though, and very enjoyable to listen to. This album was released very early in 2011, so it’s likely to be overlooked by some. 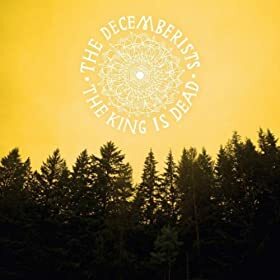 That said, it was also the first album of the year to truly capture my attention – and I’m not necessarily a long-time listener of The Decemberists. What can I really say about this album, though? It’s just a strong release thru and thru. Some favorites include: “Dear Avery” and “This Is Why We Fight”. 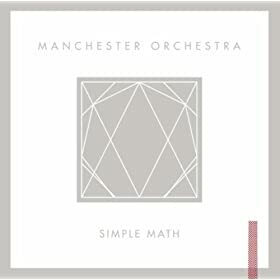 Having arrived late-to-the-game with Manchester Orchestra, I was very much looking forward to their latest release, Simple Math, and it didn’t disappoint. In fact, I easily consider this to be their strongest album yet. It seems that Manchester Orchestra is growing up in many ways: lyrically, most of all, but also musically. There is still an experimental/indie vibe to their songwriting, but it totally works. Some personal favorite tracks include: “Simple Math”, “Apprehension” and “April Fool”. Just a solid album. A very solid release from Mutemath, and I definitely prefer this to their last one. Still, not as strong as their self-titled album. I’d like to see the old spark rekindled with these guys. Just a great album all-around. Not mind-blowing, necessarily, but very good. 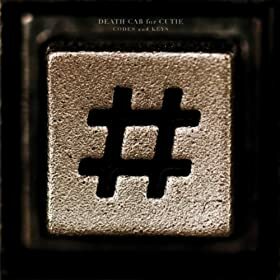 DCFC- I am actually a big Death Cab fan, and this is the first album I have truly liked by them in 8 years. Have you compared the lyrics of “You Are a Tourist” to “In Exile” by Thrice? Pretty fascinating. Decemberists- I think I need to get this album. Been reading reviews of it constantly on year-end lists, and while I have never liked them that much, I think they finally recorded an album that would suit my tastes. 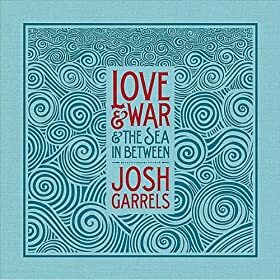 Josh Garrels- Also agree, this guy is insanely talented. I need to check out his back catalog. Coldplay- I hear where you are coming from, but I actually like the pop/R&B twist on the album. Clearly as good as Viva La Vida, but I think they had to go in a different direction. I don’t know if you’re gonna see this or not, but I’m listening to the new mewithoutYou album “Ten Stories” and since I know you’re a fan, I’m kinda curious as to whether you’ve heard it and what you think. Actually, yeah….I do see this…and yeah…I’ve already grabbed the newest mewithoutYou album 🙂 I really like the album quite a bit — and more so than their last release. It’s not quite “Catch For Us The Foxes” good, but there are some awesome songs on there. I thought the It’s All Crazy! 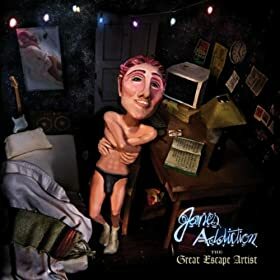 album was fairly decent, it was definitely a departure from their established style but I thought there was at least a few very solid tunes on there. “King Beetle On the Coconut Estate” was probably my favorite from that one, if not just for the accompaniment. As for Ten Stories, I think it’s shaping up for me to be probably… their second best album, I think I still like “Brother, Sister” better in some ways, but Ten Stories did not disappoint. I really enjoyed the theme throughout the entirety of the album. So far, my favorite tracks are February 1878, Fox’s Dream On A Log Flume, and Nine Stories. “It’s All Crazy!” definitely had a number of great tunes — it just didn’t feel as “incredible” or cohesive as their previous efforts — especially after “Brother, Sister” and “Catch For Us The Foxes” — both amazing albums. “Ten Stories” is really, really good, though. My wife had a funny comment: she was hoping that they were going to ditch the “food” and “animal” themes for this record, and they really didn’t. I guess every lyricist has their own well to draw from, but they’ve definitely leaned toward those themes on their past couple of releases. To each his own….